When: October 20th, 2018 – check-in begins at 9am. Opening ceremony will be at 10:00am and the games will start directly after. Each team must have 4 players. Day of registration will be accepted, but we encourage all teams to register online before day of event, October 20th, at the kammyskause.org website. The entry fee is $80 per team. All team members must be 13 years of age or older. There will be 2 different tournaments going on at the same time, so choose your events wisely. Skills Challenges will be accessible all day to play as you please. Making time for these between tournament games is your best bet to utilize your time wisely. 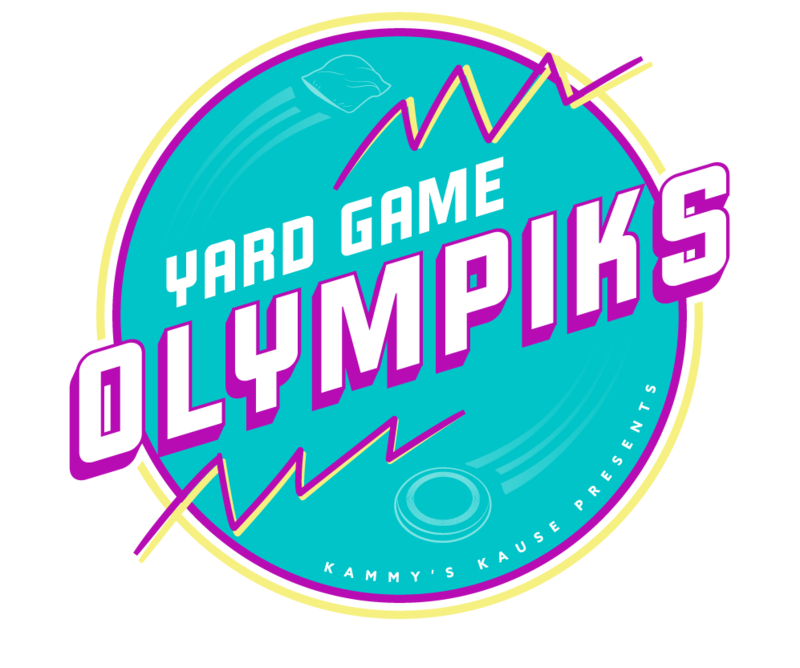 The Olympiks will consist of 10 events. Half of the events are tournament style and the other half are skills challenges. Tournament matches will be best of 3, single elimination except for Yard Pong (see Yard Pong Rules). All players from each team must compete in each of the skills challenges. Bocce, Lawn Darts and Chipping Challenge; there will be scoring rings painted onto the grass. Home Run Derby; each player will get 10 swings. Basketball; each player will get 10 shots and choice of point circle they want to shoot from. Each circle will have its own point value based on difficulty. Each players’ score from each team will be combined for a total score. After all games and challenges have been completed we will determine who wins GOLD, SILVER and BRONZE in our closing medal ceremony. CAMPING, OUTSIDE COOLERS AND LEASHED PETS ARE ALL WELCOME. BRING YOUR OWN CHAIRS! ***Registration fees are non-refundable. A rain date will be posted ahead of time should inclement weather prevent us from competing on October 20th.